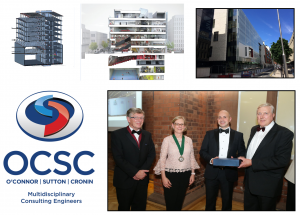 OCSC proudly collected the IStructE NI Award for projects outside Northern Ireland with the Royal College of Surgeons building at 26 York Street, Dublin. 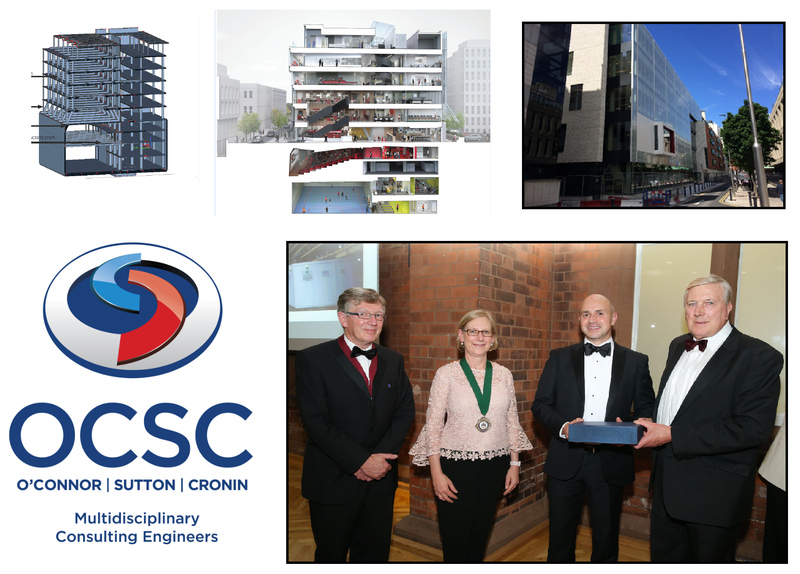 The award was presented at the Annual Dinner at Riddel Hall in Belfast on Friday 12th October. The award was in recognition of the complexity of the building which includes a four storey basement and six storey superstructure. The basement includes a sports hall and an auditorium which led to the requirement for transfer innovative structures to create these open spaces and remain within the strict client brief and planning restrictions on floor heights.